How can create a reg key to change default internet explorer homepage. it changes for current user. When I log on with another user no home page. HKCU is Current User so your result is to be expected. I just let user change their own page because they will anyway. I tried to change in HKLM still the same. 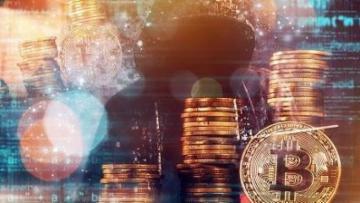 We want to deploy that key over 1500 systems. IE is individual by user so you may only be able to set it for the current user. 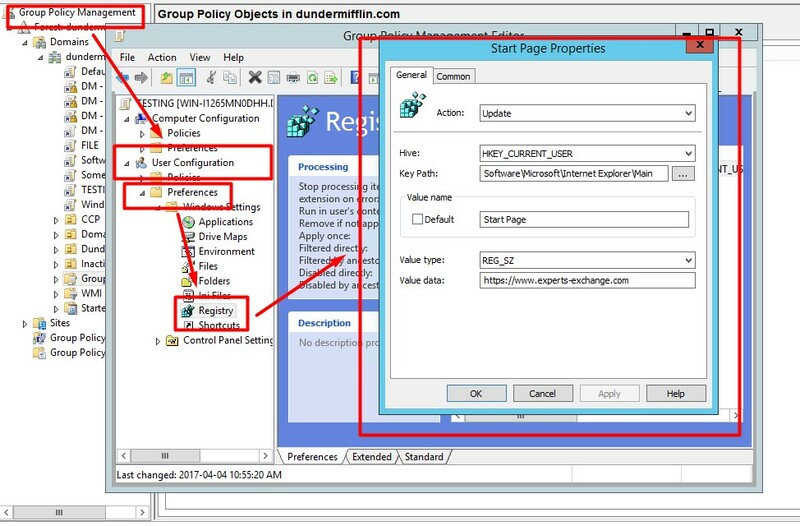 In the Group Policy Management Editor, go to User Configuration -> Policies -> Administrative Templates -> Windows Components -> Internet Explorer. Find the policy Disable changing home page settings. Set it to Enabled, and specify the URL for your home page. Once it applies, the option in IE will be greyed out on the client PC. In the Group Policy Management Editor, go to User Configuration -> Preferences -> Windows Settings -> Registry. This will set the home page by default for everyone, but the user will be free to edit it afterwards. If you go this route, I also recommend that you set a value for Default_Page_URL as well, without checking Apply Once and Do not Re-Apply. This will give your users the ability to click the Use Default button in the IE settings and get back to the company home page. You probably also want to delete the Secondary Start Pages and Default_Secondary_Page_URL registry values as well. If you are unfamiliar with these registry values, it would probably be a good idea to open the Registry Editor and look at HKCU\Software\Microsoft\Internet Explorer\Main to understand how they work. In the GPO editor, go to User Configuration -> Preferences -> Windows Settings -> Internet Settings. This may not work for all IE versions out of the box. You may have to update your Administrative Templates. In the GPO editor, go to User Configuration -> Policies -> Windows Settings -> Internet Explorer Maintenance. However, you may not have this anymore with newer Administrative Templates. Use the Internet Explorer Administration Kit (IEAK) to create a customized IE build and deploy that. Use a logon script to apply the same registry settings listed above. One thing to note about GPOs: Any of the settings in the "Preferences" sections of your GPO will only apply if you have the Group Policy Preference Client Side Extensions and the corresponding dependencies installed. Windows 7-era PCs support this out of the box. However, Vista and XP machines need an update to provide this functionality. A fully updated machine should already have this installed, but if do a reinstall it will take a few patch-reboot cycles. But we want to create a registry key and deploy it and run on the machines. Do you have Active Directory?